Not to be outdone by the Kurdish, Arabic and Assyrian women who have kicked their butts in the retaking of Manbij, Tabqa, Raqqa and beyond, ISIS now claims that they’ve got women out in the field doing their commando work – notwithstanding their unchanged mission of oppressing women. 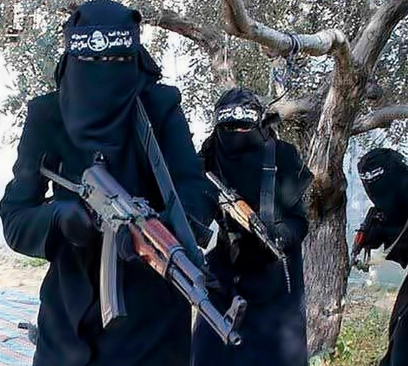 In the seventh part of their “Inside the Khilafah” series released last week, ISIS declared they were now in “the battle to avenge chaste women” while showing three head-to-toe black-clad women fighters in the bed of an ISIS-flagged pickup. The chador-draped fighters are shown firing bullets toward an unseen enemy and running alongside male fighters on an operation. No, this doesn’t mean ISIS is suddenly woke on the rights of women in the military – anything but. 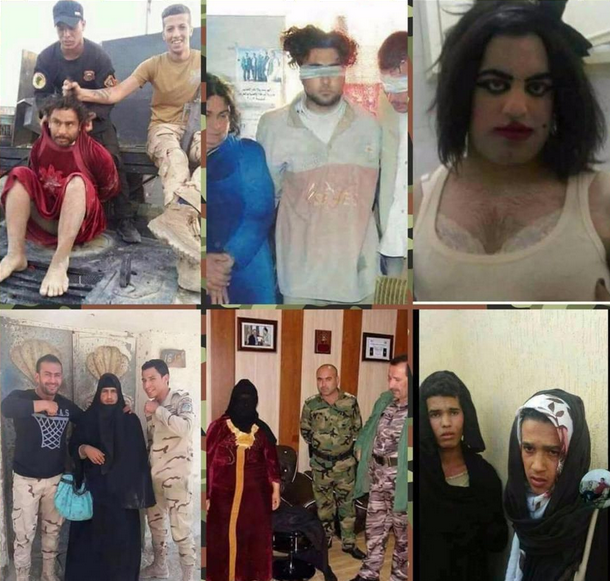 First, it’s questionable whether those are really women in the ISIS video. They never speak for the camera. And when one of them is running with a group of guys, the bottom of the black cloak dances upward to reveal what appears to be men’s sneakers and khakis. Second, ISIS likely has no intention of moving to mixed fighting units, like the women and men of the Syrian Democratic Forces who fight side by side. Mixed units would betray the brand of machismo that lures losers to ISIS in the first place. Even when ISIS let women be morality police, Raqqa’s al-Khansaa Brigade was all female and targeted women. So let’s say that ISIS did let some women leave the home and pick up a rifle, or at least act for the benefit of the camera. Or let’s say that ISIS donned chadors and raced around in drag (wouldn’t be the first time, as fleeing jihadists have shown) to proclaim their newfound belief in equality – an equality in which women can fight and die for ISIS, while not being allowed to show their faces or hands in public. What, in either case, does it really mean? Women who decide to run to the shrinking pockets of Islamic State territory will likely not find they’re welcome to join the bros at the front line. Nothing has changed in the terror group’s core belief that a woman’s principal duty is to make them a sandwich, make dua, and make Tiny Terrorists – the “cubs” initiative of raising tots in the ways of terror has been a cornerstone of how ISIS believes they will have continuity on any continent. The inclusion of women fighters in the video – even if the black-draped figures were actually dudes – can instead be interpreted as a rallying cry for women to stage lone attacks with what they’ve got, where they are. Despite the inherent sexism of their manifestos and barbaric treatment of women, terror groups have long been tuned into how women in the western world can further jihad with less suspicion and a range of assets. 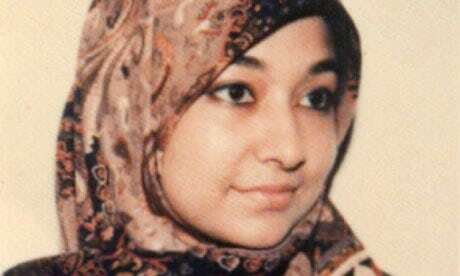 Take, for example, the terrorists’ diva: “Lady al-Qaeda” Aafia Siddiqui, currently held at Federal Medical Center, Carswell, in Fort Worth, Texas, on an 86-year sentence. The Pakistani neuroscientist has been sought in terror swaps and been the subject of terrorists’ quixotic vows to free her in a blaze of glory. Simply put, she’s their kind of woman, with some inconsistencies: The same Taliban who attack students to keep girls from getting educated have tried to trade hostages for the liberation of a woman educated at MIT and Brandeis. Siddiqui started jihad from the grassroots, trying to rally fellow Muslim students to send weapons instead of food and clothing to Bosnian war victims. She earned the trust of bigwigs such as Khalid Sheikh Muhammad and operated in al-Qaeda’s upper echelons. She was the FBI’s most wanted woman in the world years after declaring the list would be a covetable honor. She was arrested in Afghanistan with a bunch of sodium cyanide and documents on chemical, biological and radiological mass casualty attacks, with target lists including sites around New York and U.S. military bases. She grabbed an American officer’s gun during her interrogation and fired on her captors. She freaked out over being assigned Jewish lawyers. And she’s been able to rally the activist crowd into hashtagging for her on the insistence that she’s wrongly imprisoned. If terror recruitment were online dating, Lady al-Qaeda’s inbox would be flooded with smitten jihadists. Terror groups can no more lure a bunch of female biochemists than they can lure male nuclear plant workers – but such recruits will always be their gold standard, as will their perennial “bloom where you’re planted” messaging of wanting jihadists to attack on their turf with occupational skills or access as their guide. ISIS will be satisfied for now if women pick up DIY terror guides like al-Qaeda’s Inspire magazine or inspirational tomes such as ISIS’ defunct Rumiyah mag, study the articles on choosing lone attacks according to one’s station in life, and get to work. Terror groups can no more lure a bunch of female biochemists than they can lure male nuclear plant workers – but such recruits will always be their gold standard. ISIS may have suddenly decided to unveil (without unveiling) a few female fighters, but for a while now they’ve been stalking lonely, vulnerable young women online and engaging in confidence ops to slowly bring them into the jihadi fold and convince them to conduct attacks at home on behalf of the Islamic State. That’s the frontline fighting for women they’re really focused on. 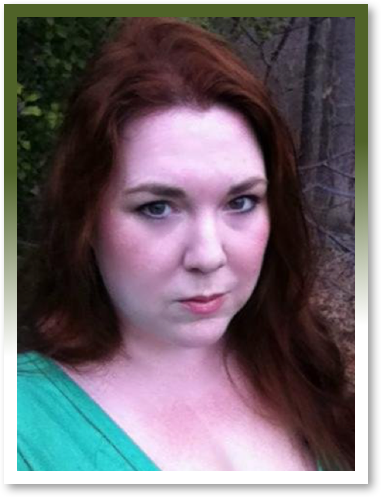 Bridget Johnson is the Managing Editor of Homeland Security Today, a Senior Risk Analyst with Gate 15 and a veteran journalist whose news articles and analyses have run in dozens of news outlets across the globe. Bridget first came to Washington to be online editor at The Hill, where she wrote The World from The Hill column on foreign policy. Previously she was an opinion writer and editorial board member at the Rocky Mountain News and nation/world news columnist at the Los Angeles Daily News.